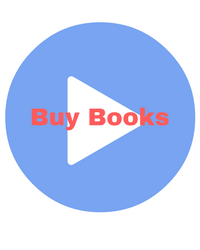 I’m amazed at the amount of options the Internet offers authors today to promote their books. One area I never investigated was Podcasting, online audio recording. When I learned that a blogging and podcasting course was offered by Gale Courses, online classes that I had taken through my library, I decided to enroll in it. I’ve been told by co-workers and friends that I have a good voice for audio and should consider recording my own books. I believed that Podcasting would be an opportunity to test my talent in this area. My instructor, John Agress, provided information on the equipment I would need to produce a podcast. Without buying additional software for my computer or a Mic (which I may purchase in the future), I was able to make a simple recording with an app (Voice Record Pro) I installed on my cell phone. 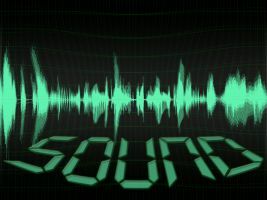 I had to admit the result sounded good, but the following lesson covered converting the sound file into an MP3 format and editing it in Audacity, another free program download. The editing phase allows extraneous sounds, long pauses, or other unwanted notice on the recording to be cut out and even permits copyright-free intro music and/or background music to be added to the podcast for further interest. The class also discussed how interviews could be conducted through another app that recorded phone conversations or through Skype. I decided this method might be nice for my Podcasts and invited authors from Limitless Publishing, the publishers of my upcoming romantic suspense novel, “A Stone’s Throw,” and fellow members of the Cat Writer’s Association who might want to participate in author interviews. The response was overwhelming. I have a growing list of 22 volunteers. I had originally planned to post the podcast episodes of “Ruff Drafts” on a monthly basis to my blog. I may need to do it more often to accommodate all my guests. The first two episodes of Ruff Drafts will include an introduction and some excerpts from my own writing. Look for them here soon. I hope you enjoy the broadcasts. A medium I hadn’t considered! Cool that you had such a response…well done! I hadn’t considered it either, but I was considering recording audiobooks and searched for an online course that might help. I came across the podcasting class and thought that might be a good first step. I was surprised at the response and glad that so many people are interested.